Virgin Mobile’s proposal to expand its Lifeline-only designation into additional rural areas across Texas is moving forward at the Public Utility Commission of Texas. Virgin Mobile has been designated as both an Eligible Telecommunications Carrier (ETC) and an Eligible Telecommunications Provider (ETP) in certain non-rural service areas of Texas – including AT&T Texas, Verizon Southwest and Frontier – for the purpose of offering Lifeline services. Virgin Mobile’s has applied to expand the area covered by those designations to include territory served by additional local phone companies across Texas. The Texas Telephone Association on November 14 filed testimony from Wes Robinson, director of regulatory affairs for Eastex Telephone Cooperative, Inc. and chair of TTA’s Regulatory Committee. Wes’s testimony stressed Virgin Mobile has not met its burden of proof and has not shown it meets the requirements for expanding its designation to other parts of Texas, including agreeing to provide service to all potential customers within many rural Texas telecommunications companies’ service areas. Virgin Mobile has not agreed to provide all required components of basic local telecommunications service, as required by both state statute and rule. Virgin Mobile’s maps are inaccurate and will result in erroneous low-income support payments to Virgin Mobile if the PUC grants the expansion in this proceeding. Virgin Mobile has not demonstrated its designation in rural telecommunications company service areas is in the public interest, as the company has not shown a benefit above and beyond the status quo if its application were approved. The Texas Statewide Telephone Cooperative Inc. filed a statement in support of the TTA filing. We remain hopeful that we will settle this case. The Texas PUC staff is expected to take a position in the case -- under Docket No. 48502 – by November 30. Virgin Mobile’s rebuttal testimony is due on December 19 and a hearing is scheduled for February 13 and February 14, 2019. 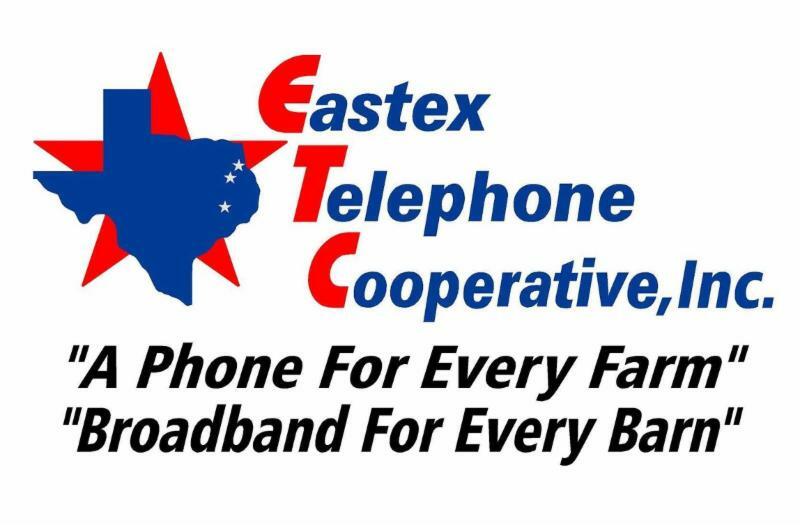 TTA thanks Eastex Telephone Cooperative, Inc. for its efforts in helping us continue to lead the industry in this issue.. In addition, TTA extends thanks to Dennis Donley and Stephanie Potter of Naman, Howell, Smith and Lee and Joe Mendez, vice president of EPI Communications Consultants for all their hard work in developing this filing. After the Texas PUC in October adopted the final rules reforming the Texas universal service fund on Senate Bill 586, TA and TSTCI are developing reporting forms for smaller Texas telecommunications companies. TTA and TSTCI and our associate member cost consulting firms -- JSI, Moss Adams and GVNW -- continue to work on developing a filing package member companies can use to submit annual compliance reports as well as an election form for those companies intending to opt into the new Texas universal service fund support mechanism. The PUC staff initially indicated they would prefer consistency in the industry opt-in filings. As TTA and TSTCI’s waivers from filing standard Earnings Monitoring Reports expires on December 15, we anticipate Texas telecommunications companies wanting to opt in to the new Texas USF regime will do so by December 15, with an enhanced earnings monitoring report to be file 60 days after. As for the draft annual enhanced EMR filing package, TTA and TSTCI continue to work with company consulting and accounting firms to develop standardized reporting forms and filing packages. A meeting has been scheduled for December 10 with Texas PUC to review our proposed filing package and receive input. If you have any questions, please reach out to me for any assistance that we can offer. The Texas PUC is considering some requests some Texas telecommunications companies to receive a “true-up’’ and increased universal service fund support. Alenco is requesting an additional $105,044 in docket No. 48833. The PUC staff on November 13 issued request for information to Dell and Alenco and filed proposed orders were filed for PUC consideration in Docket Nos. 48145 and 48270 , approving Valley and Border to Border’s 56.025 filings. Every election season is different – with its own issues, colorful candidates and even some surprising outcomes. The November 2018 midterm election was another for the history books and was good for both Republicans and Democrats. In the most watched and expensive race at the top of the ticket, Democrat U.S. Rep. Beto O’Rourke lost his bid for the U.S. Senate against incumbent Republican Sen. Ted Cruz. However, U.S. Rep. O’Rourke achieved what no other Democratic running for the U.S. Senate has been able to accomplish in decades. O’Rourke was defeated by Cruz by a narrow margin with Cruz winning with 50.9 percent of the vote, making it by far the closest statewide race in Texas for many years. The good news continued for Republican candidates with a sweep of all statewide races with Gov. Greg Abbott leading the way with a high-water mark of 55.9 percent. Interestingly, Attorney General Ken Paxton – with 50.6 percent -- and Lt. Gov. Dan Patrick – with 51.3 percent -- won by much narrower margins. These statewide victories were much tighter than the 17-to-20-point spreads of just four years ago, especially when considering most of the Democrat challengers were severely underfunded and had little name recognition. In the Texas Senate, Democrats picked up two seats with Beverly Powell defeating incumbent Sen. Konni Burton, R-Colleyville, with 51.7 percent in Senate District 10 in Tarrant County and Sen. Don Huffines, R-Dallas, was defeated by Nathan Johnson who had 54.1 percent of the vote in Senate District 16in Dallas County. Republicans will now control the Senate by a likely 19-12 margin and, because of Senate rules, will have the exact number of votes needed to bring legislation to the Senate floor for debate. Republican Senators could have more difficulty on more controversial highly contested measures as they will need all Republican votes. Senate Republicans still hold a three-fifths majority after the upset win by Senator-elect Pete Flores to replace Sen. Carlos Uresti, D-San Antonio, in the recent special election for the sprawling west Texas Senate District 19. There also will be a special election to fill the seat of state Sen. Sylvia Garcia, D-Houston, who was elected to become one of the first two Latina members of Congress from Texas. Gov. Abbott has set the special election for December 11, and early voting will start November 26. Garcia’s state Senate district is considered favorable for a Democrat to win and with a very short time frame before voting begins, a Democrat is expected to win that seat. Houston Democrat state Reps. Ana Hernandez and Carol Alvarado have expressed interest in Garcia’s seat. Democrats picked up 12 seats in the Texas House of Representatives, mostly in urban and suburban districts in Houston, Dallas, and Austin. Previously, Republicans had dominated the Texas House with a near supermajority of 95-55 members. As a result of the election, that margin is reduced to 83-67. It is noteworthy that five incumbent Republican members held onto their seats by less than 1 percent of the vote. The mid-term results in Texas were consistent with many of the trends seen across the nation. The good news for Texas Republicans is they held on to all statewide offices and maintained majorities in the congressional delegation and in both chambers of the Texas Legislature. Republican success can be attributed to strong support in rural Texas. For Democrats, O’Rourke in his race for the U.S. Senate provided coattails to sweep Democrats into offices and provided a blueprint for future success. Democrat success in urban areas, as well as turning many traditional Republican suburban counties Democrat could be a winning trend for future Democrats in Texas. Democrats made gains at every level by narrowing margins in statewide races and adding seats in the U.S. House of Representatives, the state Senate, the state House and in judicial offices. When we talk about “red” Republican states and “blue’’ Democrat states, while Texas is not purple yet, there are some signs it may be coming. All of this adds up to an interesting next two years heading into the 2020 presidential election. Note: November 12 was the first day for legislators to “pre-file” legislation in advance of the next session of the Legislature before it convenes in January. We will keep you posted on new developments. Although not part of the midterm election cycle, there was important news in the election for the next speaker of the Texas House of Representatives. State Rep. Dennis Bonnen, R-Angleton, announced he has enough votes to be elected speaker of the Texas House. The speaker of the Texas House is not elected statewide, like the governor or lieutenant governor. Instead, the speaker is selected by a majority of the 150 members of the House by vote at the beginning of each legislative session. By some accounts, the process is more akin to selecting a pope than a popular election. Most of the politicking occurs behind closed doors and thus makes it difficult to predict. The current race for speaker began in 2017 when the current House Speaker Joe Straus, R-San Antonio, announced he is retiring after six terms in the Legislature. Over the last few months, seven House members had announced their candidacies: Rep. Phil King, R-Weatherford, Rep. John Zerwas, R-Richmond, Rep. Tan Parker, R-Flower Mound, Rep. Drew Darby, R-San Angelo, Rep. Four Price, R-Amarillo, Rep. Travis Clardy, R-Nacogdoches, and Rep. Eric Johnson, D-Dallas. However, over time no consensus frontrunner emerged and some candidates dropped out. In late October, a new name emerged when Bonnen filed his paperwork as a speaker candidate. Many Capitol observers found Bonnen an unlikely candidate. As a former lieutenant to Speaker Straus, many believed Bonnen had too many ties to the outgoing regime. However, by the weekend after the November 6 mid-term election, one by one, the other candidates began to drop out and endorse Bonnen’s candidacy. On November 12, Rep. Bonnen held a news conference announcing he has 109 pledges from his colleagues and the race for speaker was essentially over. Most observers expected the race would drag out and might not be settled until the beginning of the next session in January. However, in predictably unpredictable fashion, it looks like the race is over before Thanksgiving. Technically, the race won’t be decided until the first day of the legislative session, but it is highly unlikely many pledges will change now that there is a consensus. So, who is Rep. Dennis Bonnen and why are his colleagues supporting him? He is currently the speaker pro tempore of the House, a mostly ceremonial position that, by tradition, presides over the chamber when it considers its local and consent calendar. But it also means he often filled in for Speaker Straus when the he was not in the chair presiding over the body. As such, Bonnen is a familiar and known quantity in wielding the gavel. Bonnen is a 46-year old banker and businessman based in Angleton, who first ran and won election to the House in 1996, when he was just 24-years old. He is fourteenth in seniority among the 150 members. He is currently chairman of the powerful House Ways and Means Committee, as well as, co-chair of the Committee on the Coastal Barrier System and a member of the Culture, Recreation and Tourism Committee. He also is a former chairman of the Sunset Advisory Commission. He represents House District 25 that includes Matagorda and part of Brazoria counties. Interestingly, his brother is Rep. Greg Bonnen, R-Friendswood, a neurosurgeon, who represents the neighboring district, House District 24 which is made up of Galveston County. In Bonnen, the House will get a young, energetic, but exceptionally experienced legislator. He is steadfastly loyal to the body and will fiercely defend its members. He has said he will honor the bipartisan traditions of the chamber and will appoint chairs from both parties. It is a noteworthy that his 109 pledges includes members from both parties from across the political spectrum. We look forward to working with Bonnen during the upcoming session of the Texas Legislature. Congratulations, Speaker-elect Bonnen! Eastex -- based in Henderson with offices in Livingston and Waskom -- provides voice, high-speed Internet and security services for 11 rural counties with a noncontiguous regulated service area encompassing 2,165 square miles spread over about 10,000 square miles of the piney woods in East Texas. The Texas Telephone Association team is in the process of updating the TTA member handbook for 2019. Members should expect an email from Naylor Association Solutions on updating information for 2019. If you have any questions, please contact JoAnn Kamerman at joannkam@tta.org . 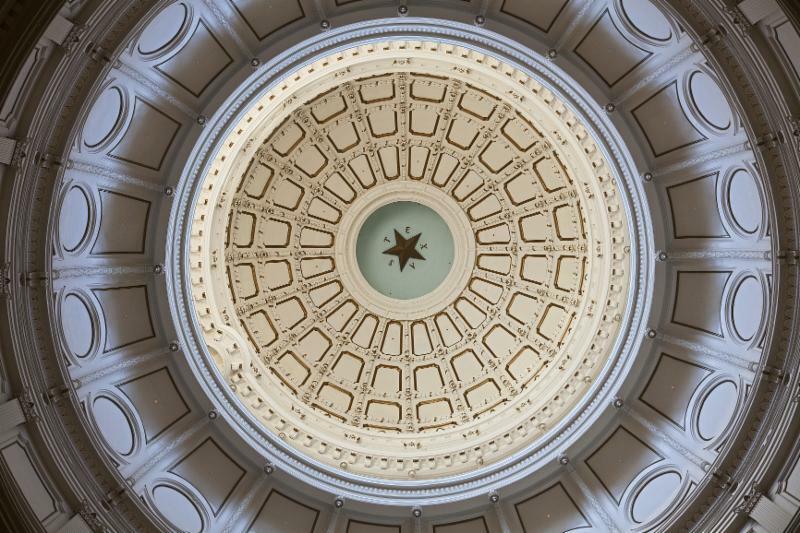 The Texas PUC is readying its “Report on the Scope of Competition in Telecommunications Markets” to submit to the 2019 Texas Legislature when it convenes in January. The PUC discussed the draft report filed by staff at its November 8 open meeting. The draft report notes that despite establishing reasonable basic local rates and generally rising rates, the economic costs of providing local service in rural areas remains higher and is supported by state and federal universal service funds. The report also makes a brief reference to SB 586 and the recent rulemaking and explores market share – including wireline, wireless and broadband -- and the effects of regulation and competition on rates for local phone companies. The report also explores the deregulation of Frontier and Hurricane Harvey recovery efforts. During the November 8 open meeting, PUC Commissioner Shelly Botkin indicated she received some information about broadband she may want to incorporate into the report and asked the commission hold off on any action on the draft for now. The Texas PUC is expected to consider the report at an upcoming open meeting. Democrats and Republicans in Washington can't agree on much of anything these days. One thing they do agree on: The digital divide undercutting rural America needs to be fixed. But figuring out the details of achieving this goal is where the two sides diverge. Read more . Just like every other U.S. business competing in an increasingly global economy, America’s farmers and ranchers need reliable, high-speed internet service. It is no longer a luxury; it is an absolute necessity in our digital age. Robust broadband networks foster more efficient, economical and environmentally responsible agriculture operations. Read more. The Supreme Court has rejected telecom companies' attempts to quash a lower court's decision that upheld net neutrality rules set during the Obama administration. AT&T and other telecoms had asked the high court to void the ruling; the Federal Communications Commission repealed net neutrality last year. Read more. Washington may not "agree on the freezing point of water," as AT&T's CEO put it, but it should pass legislation to protect consumer privacy and net neutrality . Randall Stephenson, speaking at the Wall Street Journal D.Live conference in Laguna Beach, California, called for Congress to figure out a way to protect consumers. "I'd love to see legislation, not regulation," he said. Stephenson noted that companies shouldn't be able to block content or throttle users. Consumers should be able to connect any devices to a network that they want, and they should know how their data is being used, if it's sold and if they have control over it, he said. Read more. While much of the tech policy focus in 2019 will be centered on scrutinizing social media platforms and whether consumers’ privacy is being adequately protected, there also will be opportunities for bipartisan efforts to move key technology initiatives. Here are four things to know about how the 2018 elections will impact tech policy in 2019. Read more.